Michael Quinn, TV aerial and satellite specialist is visiting Rathlin this Sunday 13 January, weather permitting. If anyone else on the island needs him for any work, and would like to split the travel costs, please contact Margaret. Following the very sad passing of Sadie McFaul, her family have put forward the following message. Margaret, John and Jennifer wish to express their sincere gratitude to all who sympathised with them and provided support at the time of Sadie’s death. Heartfelt thanks to our friends and fellow islanders who came together to help, to those who travelled to attend the wake and funeral, sent Mass cards, sympathy cards, letters and telephoned. Sadie will return to Rathlin on Wednesday 26th December on the 10.30 Spirit of Rathlin sailing. After reposing at home, she will be brought to the chapel at 1.30pm on Thursday 27th, with the funeral mass being held at 12.00 noon on Friday 28th. RIP. Sadie McFaul passed away last night. Our sincere condolences to John, Jennifer, Margaret and the extended family circle. We will give an update on the funeral arrangements as soon as possible. May she rest in peace. The Resource Centre will close for Christmas 2018 at the end of the workday on Friday 21st December & will reopen on Monday 7th January. Merry Christmas and a Happy New Year to everyone from the RDCA Committee and from David and Stephen in the Resource Centre! The inaugural “Grugach’s Gold” community voting event was held on Saturday 3rd November in the Parochial Hall. The Grugach’s Gold is the “social dividend” from the Manor House’s profits, and it is intended to be used for the good of the community. To further this, it was decided to use a process known as Participatory Budgeting (PB), a form of participatory democracy, where local people decide how to allocate part of a budget; people on Rathlin deciding how the £1,000 from the Manor House would be spent to benefit the community. 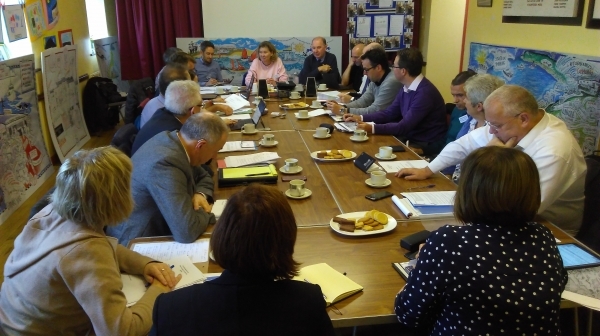 The annual Rathlin Ministerial Forum was held in the Parochial Hall on Wednesday 24th October. 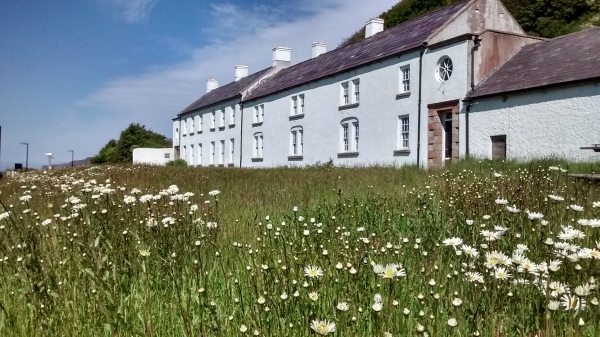 The Ministerial Forum, set up under the Rathlin Policy, is a crucial opportunity for the RDCA Committee to meet with senior civil servants (and Ministers when they are in office) to progress and manage the Rathlin Action Plan.